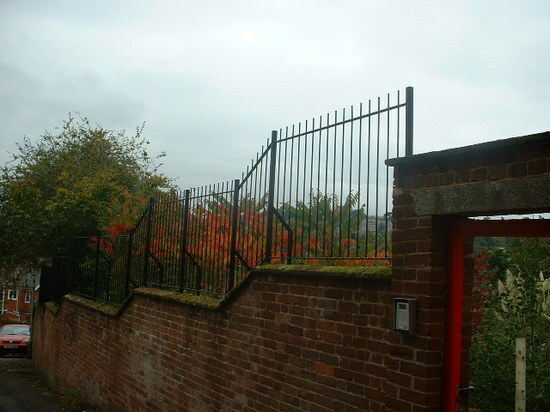 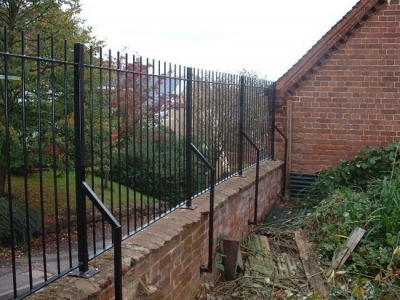 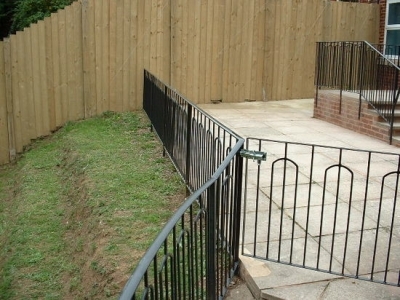 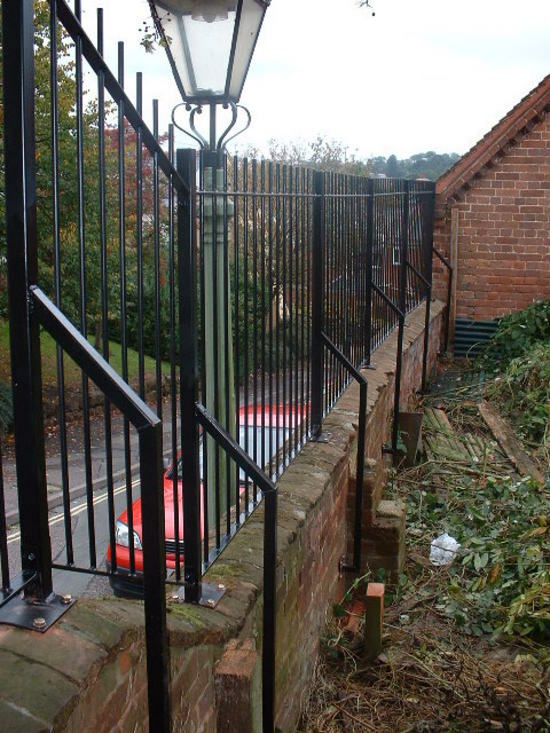 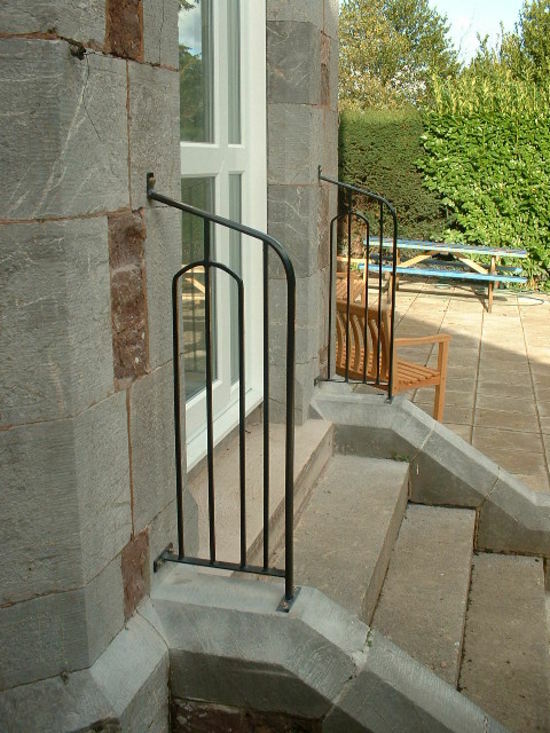 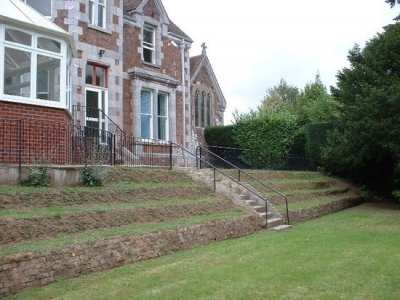 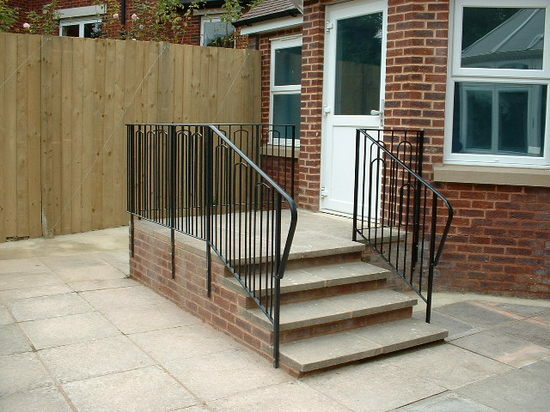 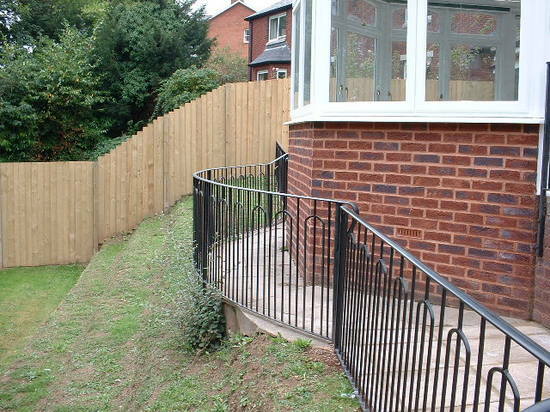 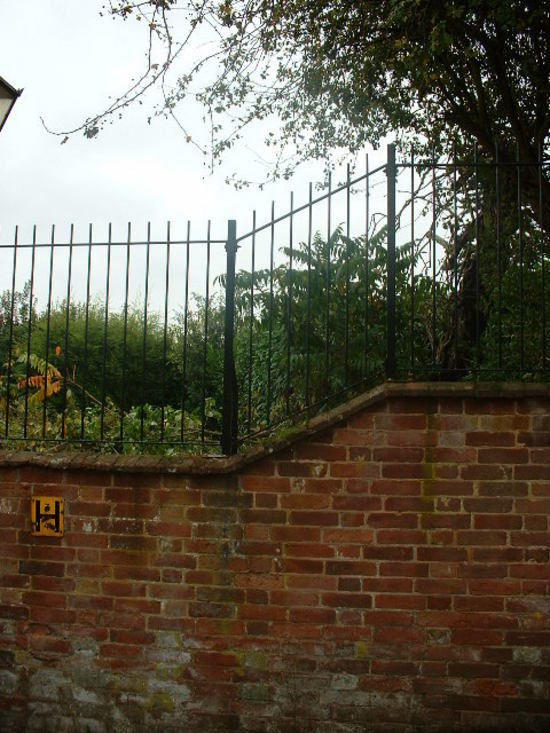 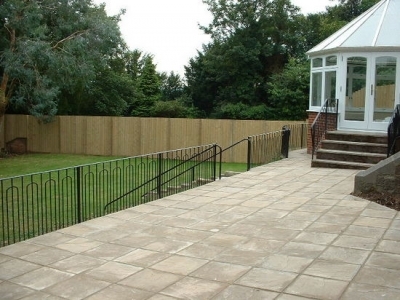 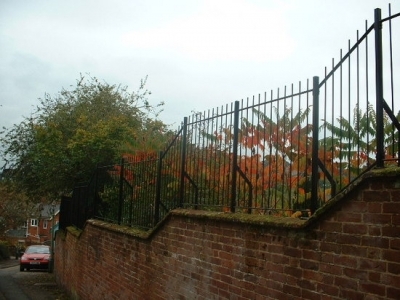 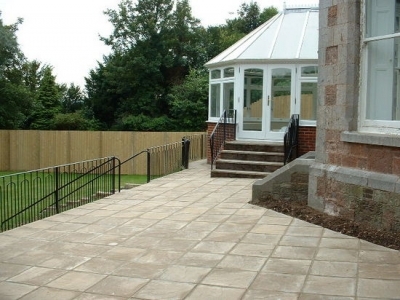 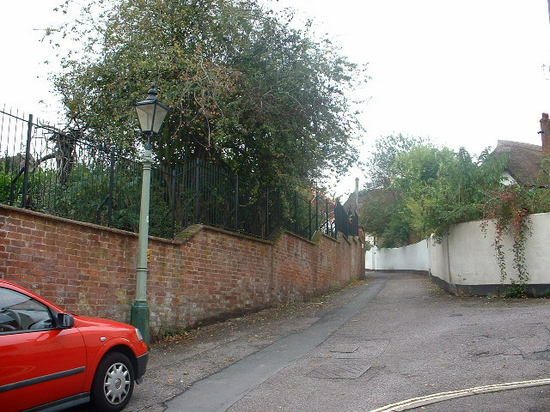 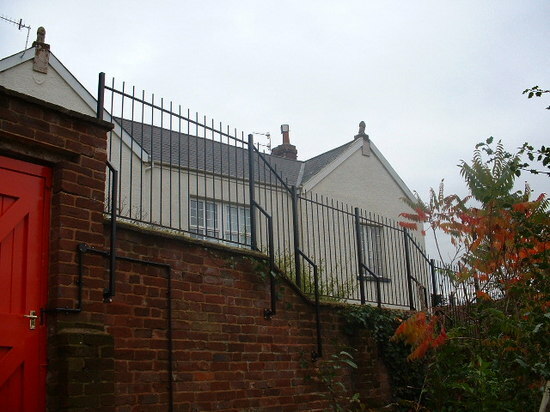 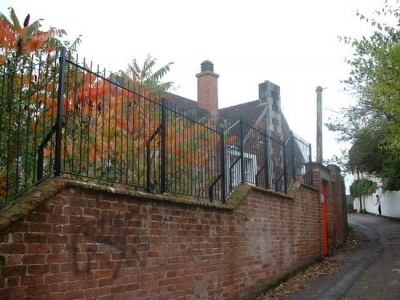 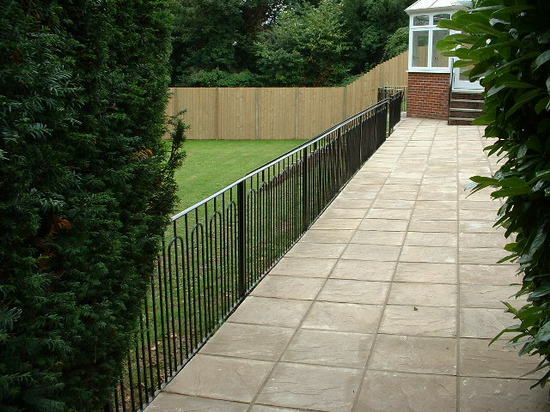 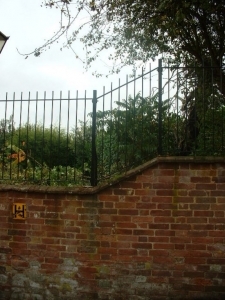 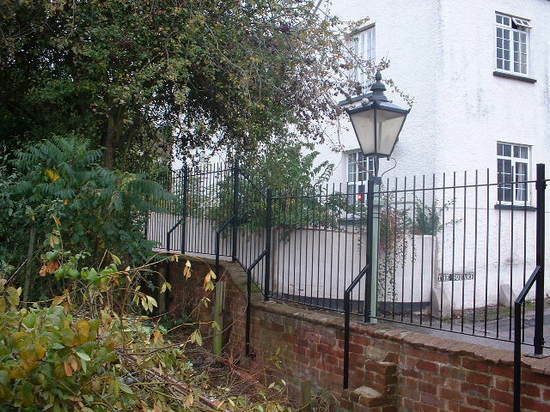 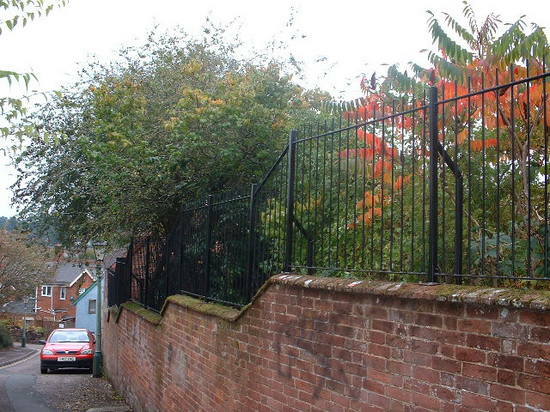 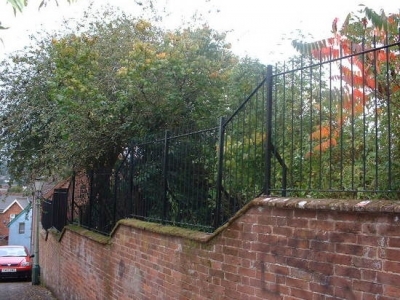 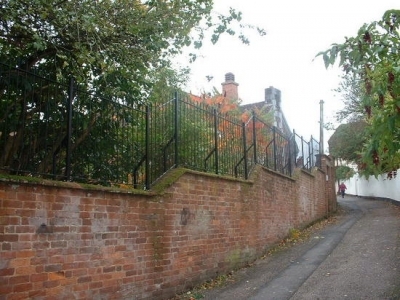 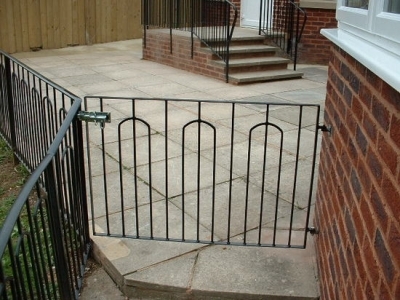 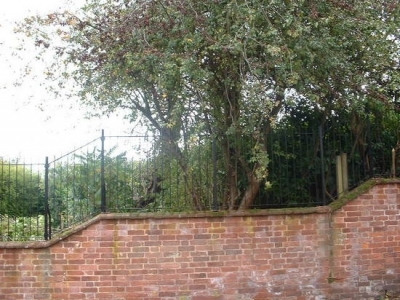 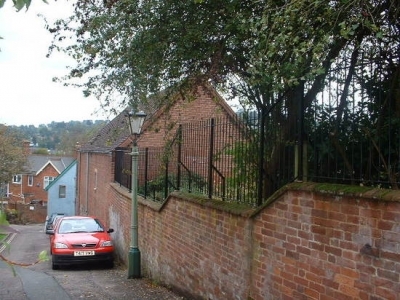 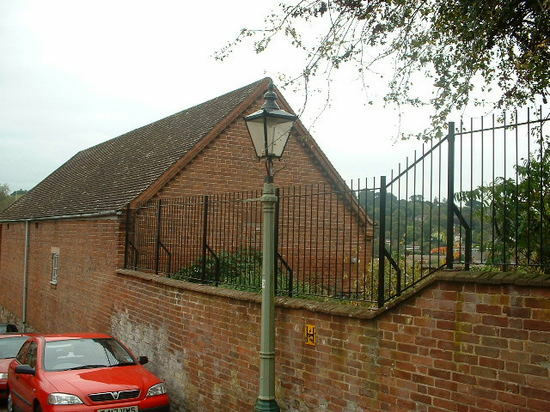 The security railings were built at our workshop, the railings were built with posts that had a curved plate on the bases, these plates fitted exactly onto the capping stone of the wall which was round on the top, each of the posts was fitted with a rear strainer due to the nature and length of the railing. 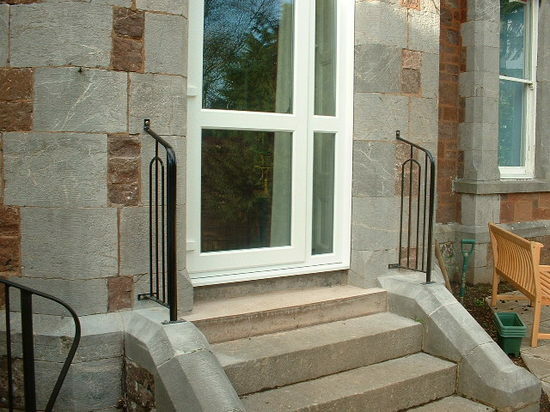 The inner garden railings were built to an unusual design on site and hand painted. The shaped rails were produced at our workshop before being welded into place.